Came into the company today of HMS Poictiers under the command of Captain Sir John P. Beresford as part of our continuing blockade of the port of Baltimore. We laid along side so that Capts. Freymann and Beresford could converse across the expanse betwixt the two ships. The weather, being fairly still, allowed them to use near conversational tones from one quarterdeck to the other. A fairly comical scene ensued, wherein, the Poictiers being a rather large 74 gun third rate saw that Capt. 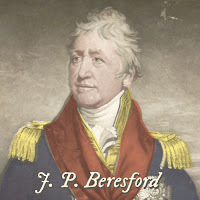 Beresford was obliged to talk down from on high whilst Capt. Freymann was obliged to talk up. There was some discussion in regards to the weather and the state of their respective barometers, as well as some of the recent movements of His Majesty's other ships belonging to the blockade. 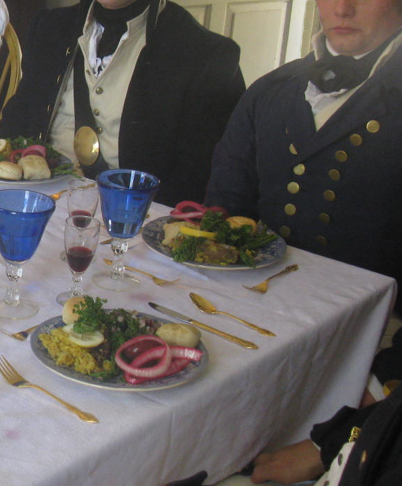 Toward the end of their conversation, Beresford extended an invitation to the Captain and other Acasta officers to dine that evening aboard the Poictiers and Freymann was pleased to accept his invitation. 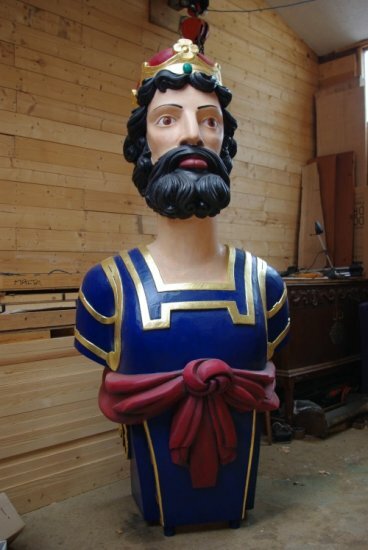 A replica of the HMS Poictiers' figurehead at the Royal Museum in Portsmouth. 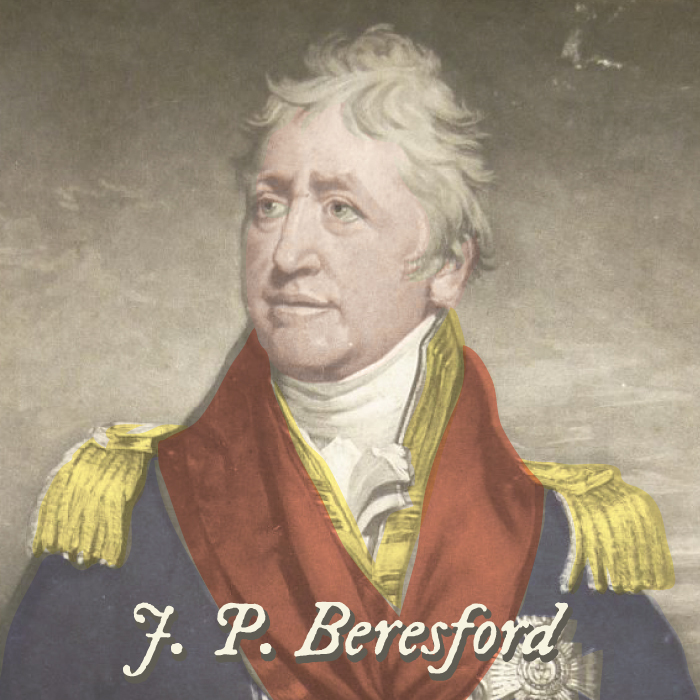 Later that evening at supper, Captain Beresford and his officers related tales of their recent travels up and down the coast, and the vessels they had recently captured. With names like "Little William", "Logan", "Rebecca", it sounded for all the world like the muster roll for a family gathering rather than a list of captured enemy ships. The lieutenants in attendance all lamented the relative small size of their captures thus far, and it occurred to me that when you are aboard a 74 gun third rate, every ship you encounter must seem quite diminutive in comparison.